Recently I attended an event at UCI where Mr. Tomo Mizutani, President of Nitto Tire, delivered an engaging story about his efforts to build Nitto tires into the company it is today. I got a lot out of his presentation, and had the chance to talk with him 1 on 1 for a few minutes after his speech. This event was coordinated by my friend Sinan Kanatsiz, founder of KCOMM & Chairman of the Internet Marketing Association. 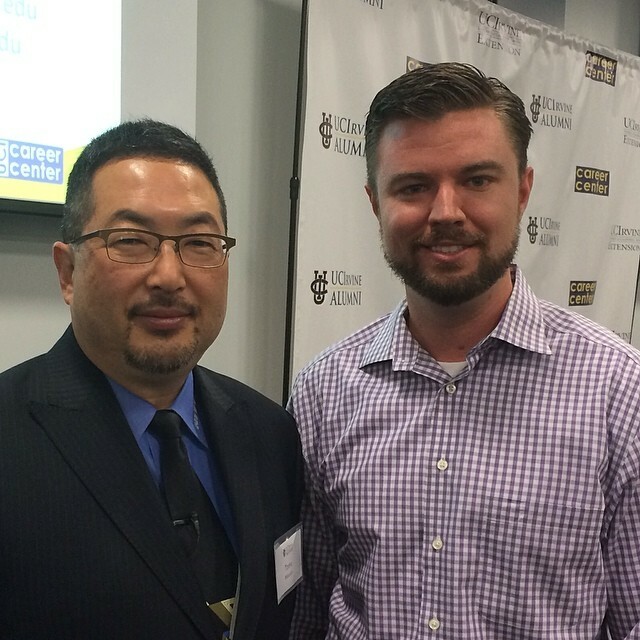 Sinan organized the event with the UC Irvine Alumni Association. Mr. Mizutani’s story of being assigned as the leader of a Nitto Tires, a small operation, in the early 90’s into today generating $500 million in annual sales is inspiring. Mr. Mizutani talked about working directly with car enthusiasts that went to UCI about what tires they wanted to be made, and what gaps there were in the market. By listening to these car enthusiasts, Tomo was able to fill a void. I can relate to this because I consider one of the main roles of my company, ModBargains, is to work with manufacturers and educate them on voids in the market that they can fill. It is very difficult for manufacturers to get direct feedback from customers and turn that into new products. At ModBargains, we deal with tens of thousands of car enthusiasts. Our job is to listen to them, aggregate the data & feedback, and then communicate that to the manufacturers so they can make relevant new products. Tomo really understands the aftermarket automotive industry and talks a lot about PASSION. The customers are driven by passion to modify their cars & trucks. The successful manufacturers, retailers, and installers in this industry are fueled by their passion as well. They live their motto: “Fueled By Enthusiasts”, just as we adhere to the principles of Experience, Expertise and Enthusiasm here. Companies who are too commercial and don’t have real passion usually don’t succeed in this market. Mr. Mizutani talked about the power of attracting youthful buyers. With the advice of people around him, he identified that young customers in the 90’s wanted their tires to: 1) be affordable, 2) perform well and 3) look great. I can confirm that is certainly still the case over 20 years later in the year 2014. Nitto Tires attracted youthful consumers that were not loyal to other tire brands. Nitto earned positive momentum by earning the loyalty of young, passionate car enthusiasts who then referred their friends to buy Nitto tires as well. Nitto started with the JDM crowd, mainly Honda. Then Tomo Mizutani expanded Nitto tires to offer tire sizes for American Muscle cars, like the Ford Mustang. Next, he expanded Nitto to cater to off-road vehicles such as trophy trucks, as well as “BLING” such as 20″ – 22″ tire sizes for SUV’s like the Cadillac Escalade or Lincoln Navigator. As the CEO of ModBargains, I can say that my path of which markets to reach is very similar to Nitto’s journey. We started with BMW, then other European makes. Next, we moved on to American muscle cars such as the Chevrolet Camaro & Ford Mustang, and even got into JDM makes such as Nissan/Infiniti, Hyundai, and the Scion FR-S. Now we find ourselves modifying Jeeps. We are always looking for customers that we can help, and that has led us not to just be a BMW company. BMW is still our main market, and we love that crowd, but we didn’t want to limit ourselves to only 1 group of automotive enthusiasts to help. Nitto started in the JDM market but expanded to other markets such as american muscle cars and off-road vehicles. Mr. Mizutani spoke of his alliances with other companies that serve automotive enthusiasts. His friendships with magazine editors as well as wheel companies lead to even more success. This is again very similar to my way of thinking. We can’t do this alone at ModBargains. Our partnerships with our suppliers are essential to our success. When those relationships are not healthy, it can impact our ability to provide our customers with good customer service. One of my main roles today is to keep communication healthy with our partners.